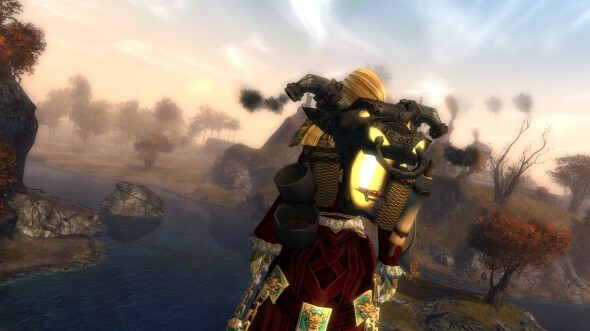 Guild Wars 2> News>Crafting Backpacks, New Leveling Items, and More! Hi there! I’m Josh Diaz, a game designer here at ArenaNet, and today I’m going to tell you about some of the changes we’re introducing in the September 2014 Feature Pack to make exploring Tyria more rewarding. To start things off, we’ve added in some gear meant specifically to help you level your characters. These weapons and armor will provide crafters and explorers with access to some of the skins found across Tyria’s diverse regions. For example, if you’re lucky enough to come across the Cannon Law, you’ll be able to choose between two stat combinations and receive a level 36 rare rifle with the Krytan Rifle skin and stats that are a little more potent than most rifles of its level. 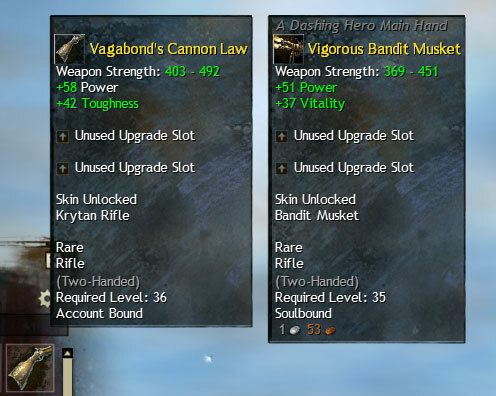 These items are intended for the up-and-coming heroes of Tyria. As such, they extend up to an exotic level of rarity, but they are all exclusively under level 80. You may find that early explorations of Tyria are easier the second, third, or twenty-third time around with some of this gear. 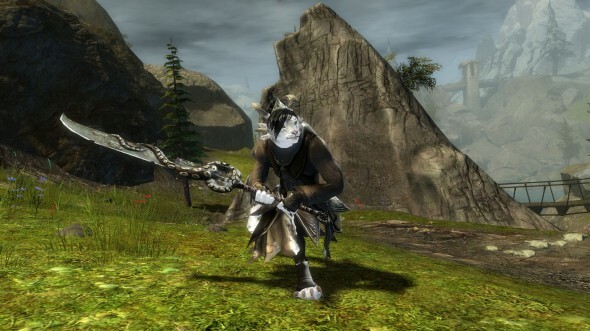 The recipes for these items are meant for advanced crafters, but we’ve also added versions of the weapons to monster hauls across Tyria that come with a few stat combos intended for characters who are still leveling. If you find one you like that doesn’t work for the character you’re on, you can always store it away for another character on your account. Happy hunting! These new weapons and armor help crafters get ahead of the game, but we also want crafting to have a strong visual reward so players can show off what they’ve accomplished so far. That led us to the creation of the new Crafter’s Backpacks. They’re only accessible by practicing a crafting discipline, and each discipline gets a unique look that progresses as you advance and builds on top of what you’ve already made! These backpacks don’t take much to build, but they’ll guide players up from novice to adept crafting in each discipline, bring in new looks to your Wardrobe, and come with a bit more combat flexibility than many players might have seen. Finally, since we believe that, especially for newer players, good rewards mean things you can play with (and not just things that may happen to valuable on the Trading Post), we’ve made it so that you’re more likely to get loot that you can use. It’s still possible for a warrior to get a new staff to sell or for mesmers to find a rare rifle, but it’ll be a bit less common than it was before. We’d rather that leveling players found things that felt like an immediate and useful upgrade or gave them a look at a new weapon and a chance to expand their skill set, and this seems like a good way of doing that. These changes should help new players and veterans alike get more out of their leveling experience in Guild Wars 2.